I am not the first person to write about their love and appreciation for the majesty that is Gilmore Girls, and nor will I be the last. This time last year the entire series was added to Netflix, and it’s once cult-like viewership has boomed into a full on fandom ever since. For us Stars Hollow regulars it’s been both a thrill and a shock to have shared the town gazebo with such a large crowd, and I’m sure that’s not far off from how the original fans felt once ABC Family began their daily reruns of the show. Entering into the world of the Gilmore ladies is turbulent, yet beautiful. Neither of them are perfect characters or people, which makes the storylines that much more relatable and educational. This show very quickly became a favorite of mine, and fortunately several people in my life were fans as well. To say that I’m thankful to have come across this show would be an understatement, and I’m sure that plenty of others feel the same. I will admit that I didn’t enroll at Chilton until about six or seven years ago, but today’s significance is far bigger than anything I may have seen or felt during my countless re-watches of the show. 15 years ago today the pilot episode aired on the WB. “Pilot” was written by series creator Amy Sherman-Palladino and directed by Lesli Linka Glatter, and followed the now beloved duo of Lorelai and Lorelai (Rory) Gilmore as they drank coffee, fell in love, and encountered a few fast-paced arguments. Not unlike the series as a whole, which makes the pilot episode that much more special. Because it was our first taste of Stars Hollow. 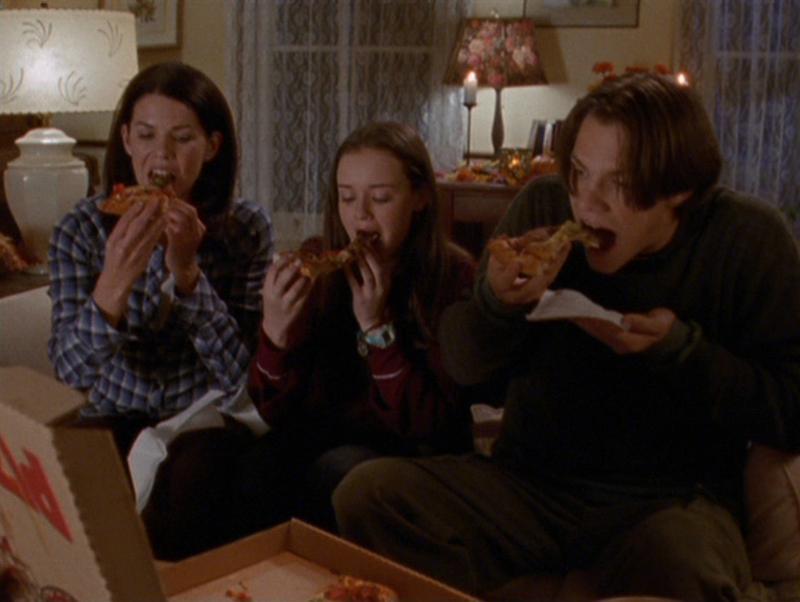 This episode is important because the we see Lorelai and Rory in their true form. Watching TV and munching on junk food, all the while spouting out the genius dialogue we know and love. I love this episode for it’s lightheartedness and jollity, all leading up to the announcement regarding Richard’s employment status. Stars Hollow holds their annual charity picnic basket auction, and not only do we witness a fight to the death (picnic basket?) between Jess and Dean, but lovely profiles of several Stars Hollow-nians as they hope just the right person bids on their basket. This episode hits a little close to home, as working full-time and taking night classes is all too familiar to me. Lorelai is so proud to have accomplished her goals, but all she really wants is to see Rory’s smiling face in the crowd. Where is Rory? Out gallivanting in the city with Jess, which is adorable to watch until we realize that she is going to run late to her mother’s ceremony. Also, Emily and Richard’s legitimate pride in their daughter when she walks across the stage is priceless. Sookie’s wedding was a big day for more than her and her bride-groom, Jackson. Rory and Jess finally share a kiss, and Lorelai and Chris’ relationship endures yet another obstacle, his girlfriend Sherry’s pregnancy. Oh boy, the kicker. Everyone in Stars Hollow dresses up in awesome costumes and dances the night away, literally. But Rory’s interest in Jess becomes too much for Dean, and he breaks up with her right on the dance floor. In which we relive Lorelai-senior’s most important memories as her teenage self discovers that she’s pregnant with Lorelai-junior. Extremely powerful moments abound, in this episode. From Rory’s loss of virginity and commencement of her affair with Dean, to Lorelai and Luke’s first kiss, these are moments on every fan’s favorites list. S5E7 definitely makes top three episodes in my book, if only for the first true Logan introduction and chunk of screen time. The entire Life and Death Brigade sequence is mysterious and exciting. But, also for seeing Lorelai, Luke, Emily, and Richard together for the first time. Lots of quality moments. After time apart, Richard and Emily kiss, make-up, and renew their vows. At the ceremony, Chris stirs up trouble with Luke (stemming from a drunken evening Lor casually never told Luke about) and Rory finally makes a move on hottie Huntzberger. All four members of the Gilmore clan go at it during the series’ best “Friday night dinner” scene of them all. Amy Sherman-Palladino’s last episode on the show certainly reflected her style across the board. With the perfect combo of fun and drama, we leave season six without Amy, and a question of what the next season will bring. Five words. I will always love you. Easily an addition to this list, even if it wasn’t quite the ending we wanted or expected. 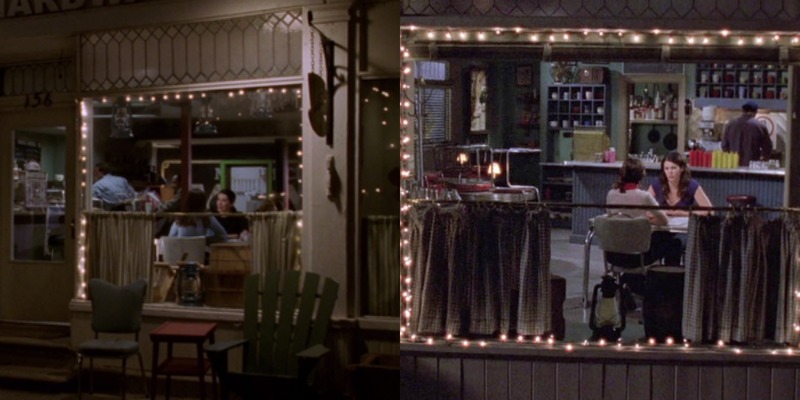 With tender moments at every corner, and the eminent reunion of Luke and Lorelai, we say farewell to the Gilmores and all of Stars Hollow. I could go on forever with this list of must-sees. And, thanks to Netflix, the dynamic duo is at it again. And again, again, and again. Now, go find some pants with the word “juicy” on the rear and get your annual Fall re-watch started.